St Gabriel’s Secondary School, Friday, February 1, 2019 — Traditional heavy-hitters St. Gabriel’s Secondary School (SGS) proved their mettle with a 17-1 drubbing of St. Patrick’s School (SPS) to put themselves in a strong position to qualify for the second round. 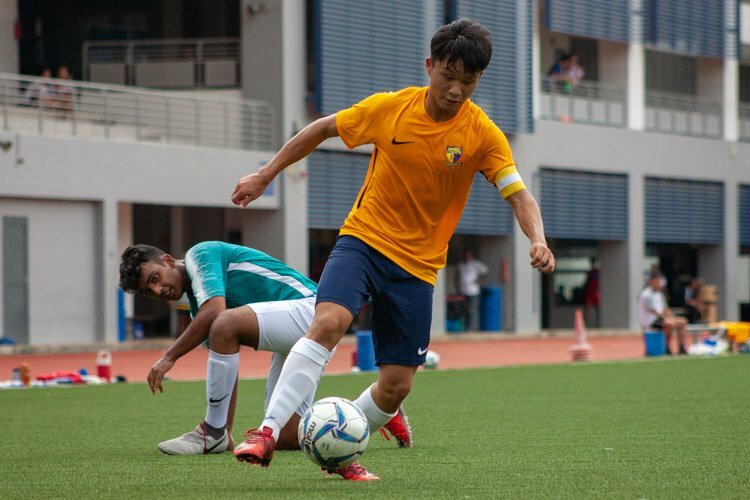 SGS’s win-loss record now stands at 2-1, whereas that of SPS has fallen to 1-2, which still leaves them with a chance of progressing to the knockout stages. The game started at a hair-raising speed, with end-to-end action as both sides pressed high up the pitch in search of a quick opening goal. 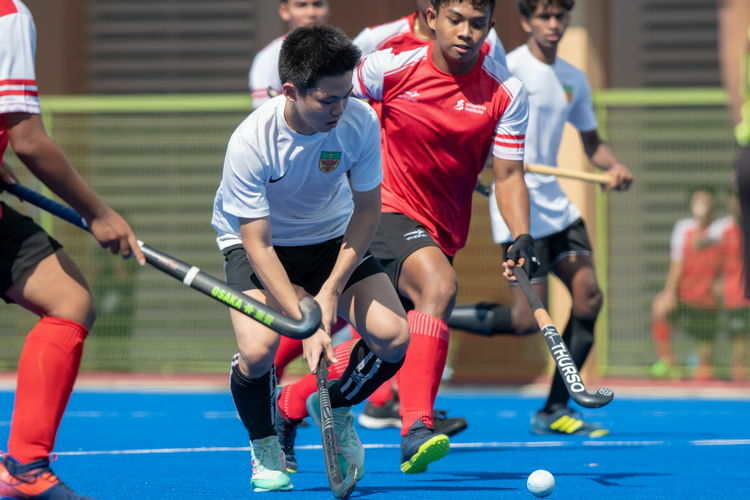 However it was SGS which took the advantage early on, as Muhammad Khidhir Bin Mazharul Yusoff (SGS #7) drove a slap shot straight into the top right corner of the goal. This helped open the floodgates for SGS, and they struck twice in rapid succession, with Muhammad Sheih Sy Akir B Azman (SPS #22) deflecting the ball past his own keeper, before Khidir put his team 3-0 up. 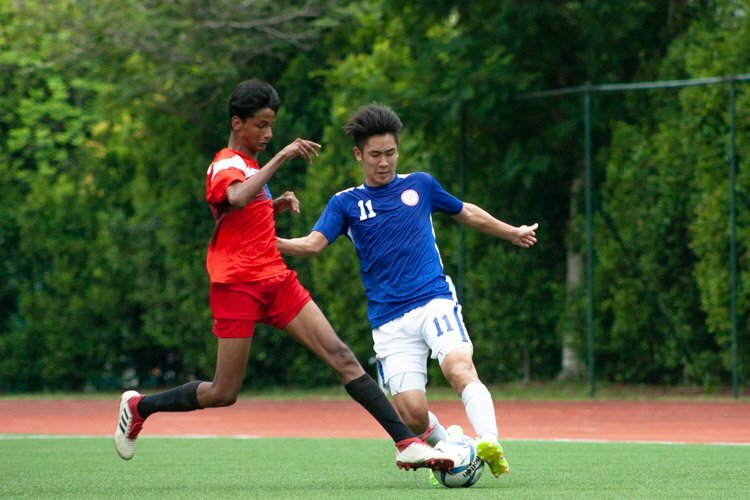 Yet SPS refused to buckle, and they retaliated with a high pressing offense of their own, with Dhamiri Zahid Bin Imran (SPS #7) and Muhammad Idham Kurniawan (SPS #19) causing real trouble with their long range shooting. As SPS sustained this pressure for much of the period, SGS adopted a one-man defense formation to counter this, causing their attackers to swarm forward and rain shots on the SPS goal. 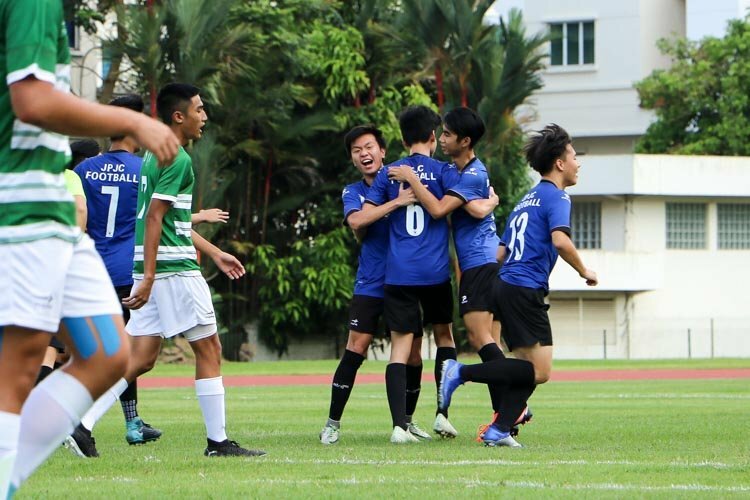 This tactic quickly yielded fruit for SGS, as Jared Tan (SGS #11) closed out the period with a free-hit goal leaving SGS 4-0 up at the break. 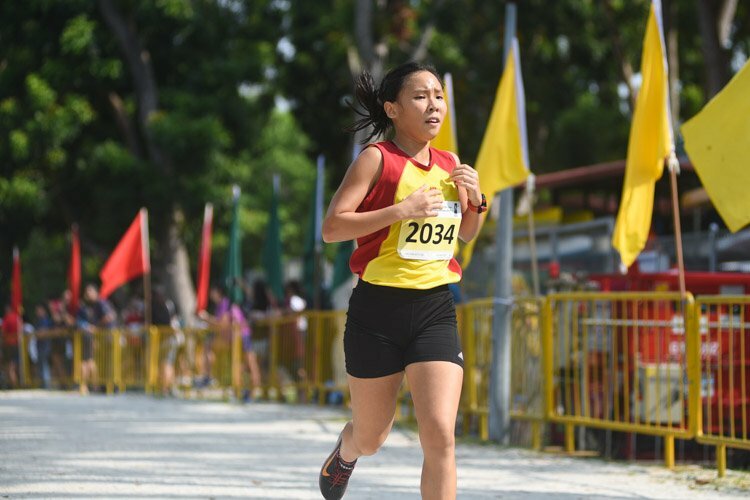 In the second period, unfazed by the scoreline, SPS came roaring at SGS. 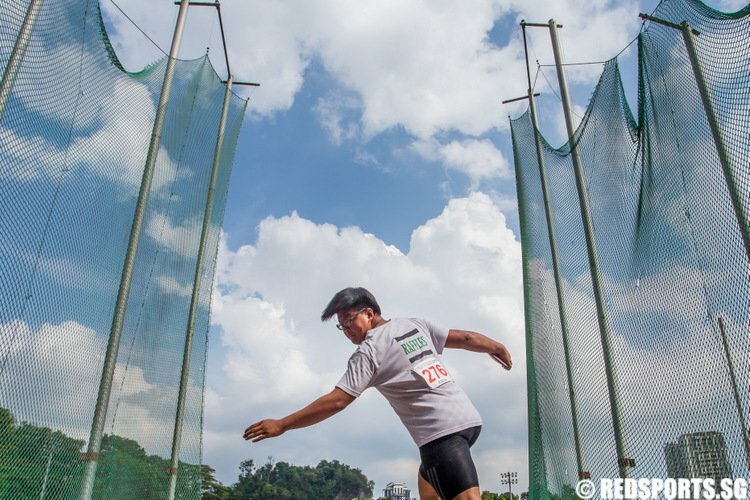 They closed their opponents down intently, causing them to lose their cool and turn-over the ball many times. 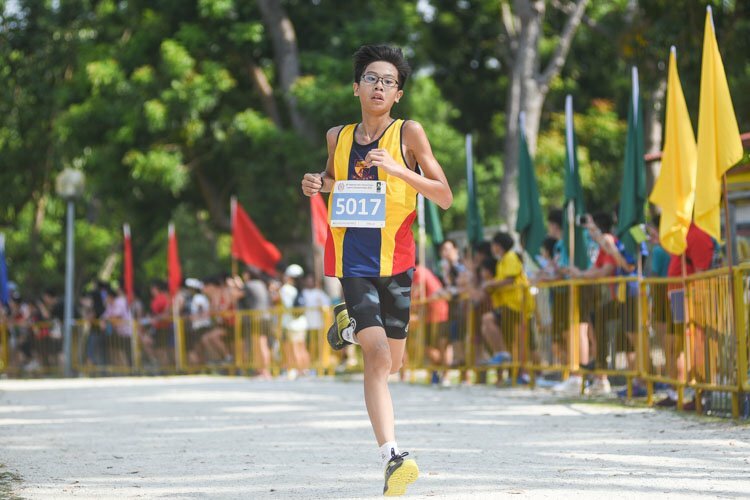 SGS took a while to find their rhythm again, but they soon began to take their chances, when first Titus Lim (SGS #9) and then Khidhir found the net with powerful drives. Yet, in this tale of twists and turns, SGS had Paventhan s/o Kannan (SGS #10) temporarily sent off for a foul. 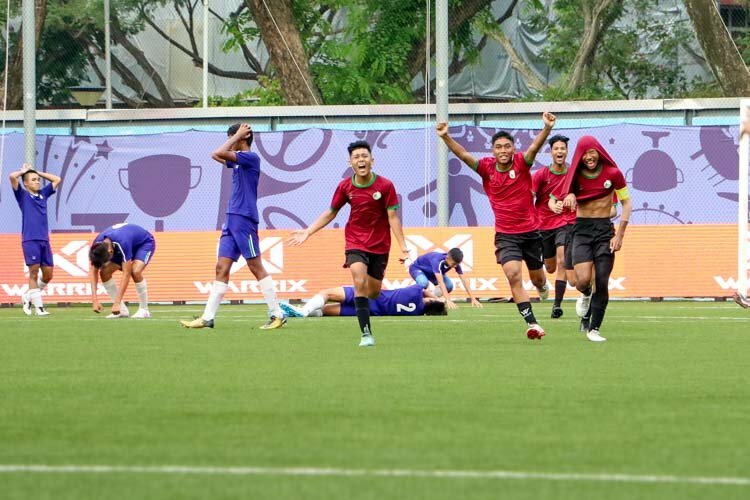 SPS quickly capitalised on their one-man advantage, and Muhammad Rifqih Bin Abdul Aziz (SPS#21) deftly feinted his way past a defender before slotting home coolly. 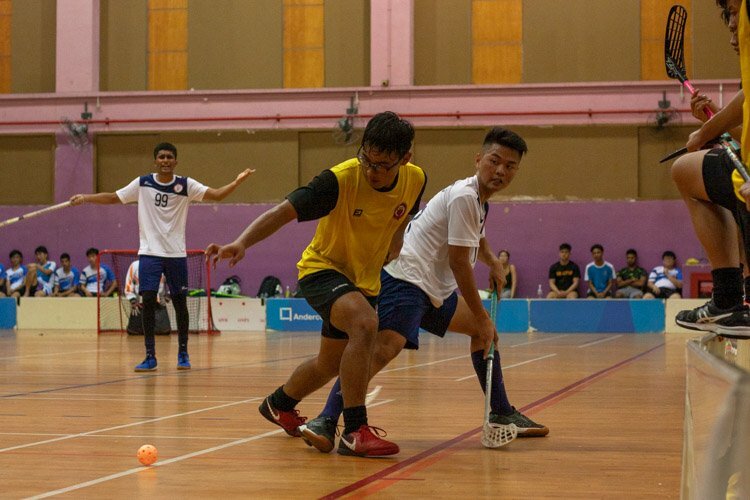 Paventhan was then reintroduced into the game and he made an immediate impact, tapping in from close range to give his team a comfortable 7-1 lead going into the final period. 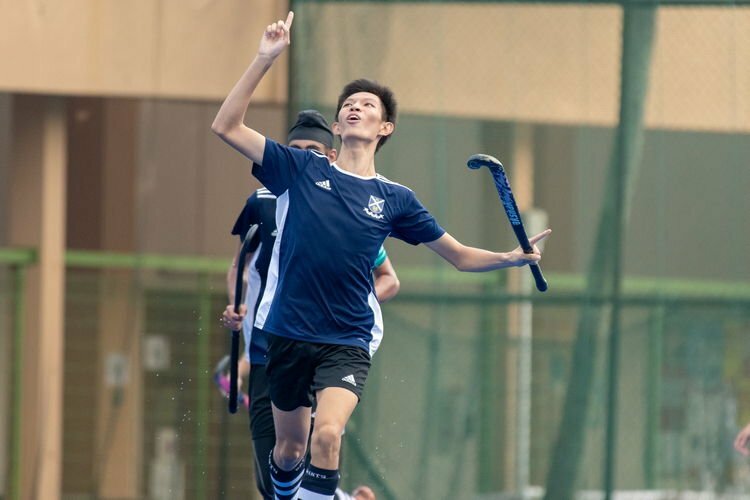 In the third period, SGS seemed to come out suddenly revitalised, as they employed a swift, flowing, pass-and-move strategy to launch an onslaught on the opposing goal. And though the exhausted SPS defenders put up a valiant resistance, they were powerless to prevent SGS from bulging the net five times in just a matter of minutes. The goals were strung together by attacking quartet Aryan Irfan Bin Jalaini (SGS #13) (twice), M Mohamed Imran (SGS#16), Khidhir and Jared. Still refusing to lie down and accept defeat, Dhamiri and Daniel Robert Howse (SPS #11) led a series of attacks down the flanks, while being cheered on raucously by their team-mates. But unfortunately for the warring SPS boys, SGS were truly in fine form, and a combination of silky dribbling and sharp distance shooting saw them breach the SPS defensive wall a further five times in the period. 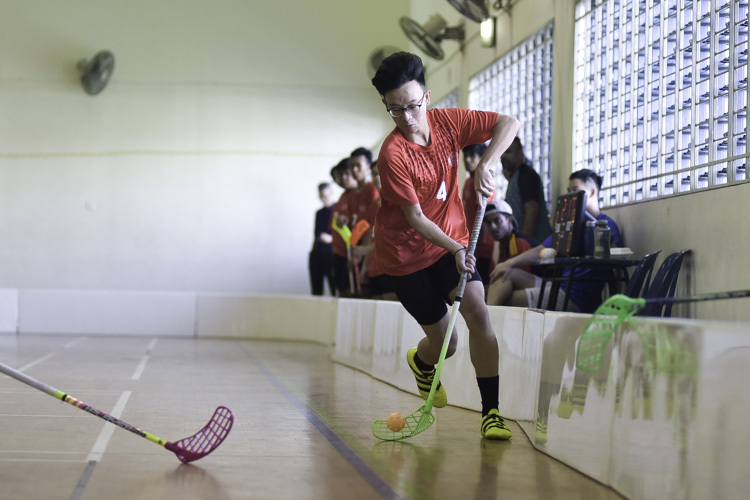 Paventhan, Titus, Aloysious Ng (SGS#12) (twice) and Clarence Tay (SGS #5) all fired home to round off the game 17-1 in favour of SGS. 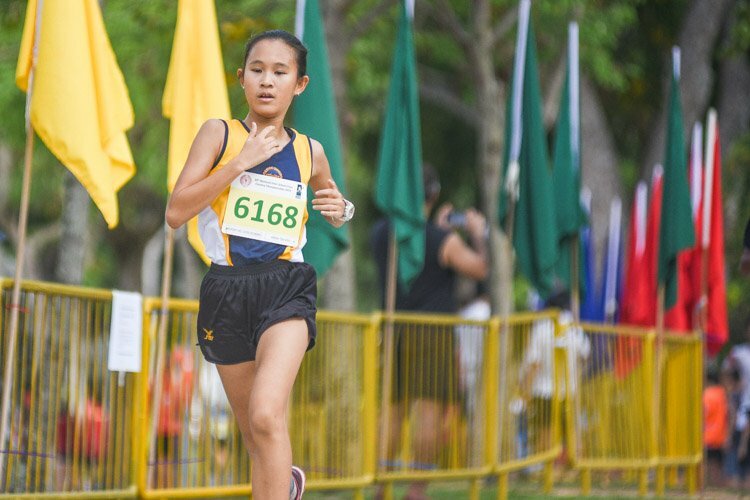 In the next round of fixtures, SGS will take on Bedok South Secondary School, while SPS face Hougang Secondary School, both on February 8.